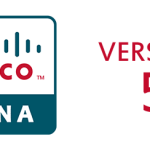 If you’re looking for course materials that you can install for offline viewing, click here to check the CCNA Exploration 4.0 Curriculum / Course Material installers, for offline viewing. They have more explanations that these PPT slides. Taking up CCNA 2 (Cisco Certified Network Associate – Routing Protocols and Concepts) ? These Powerpoint slides might help you in your study. They are not actually the course materials that you will be able to view as a student. They are the materials being used by instructors. I prefer reviewing using these because they are simpler. And no, no. This ain’t cheatsco. lol. The following .zip file contains the 11 chapters for CCNA 2.
it’s very valuable for me…..